I'll start right off the bat and say this review is almost two years overdue. How could I not have visited Washington D.C.'s only dedicated gluten-free bakery before now? Quite honestly I'm still asking myself this question. Rise Bakery opened in November 2014 and has quickly made their name as the go-to gluten-free bakery in the region. While 100% free from gluten, this bakery stocks the delicacies not often seen even in gluten-free establishments: croissants (sorry, not dairy-free), eclairs, pies, and so many more gourmet delicacies. This is not just a cupcake-laden bakery, but has equal opportunity sweet and savory options. Located in the Adams Morgan neighborhood north of the tourist-heavy parts of the District, Rise Bakery is nestled among a row of restaurants and cafes in a truly elegant, neighborhood. It may be a bit off the beaten track, but definitely worth the excursion for the pursuit of gluten-free baked goodness. The morning I visited, there were only a handful of dairy-free treats available, but I was able to get a nice selection of sweet and savory to sample around Rise Bakery's options. The first thing I picked out was the flourless chocolate cake. 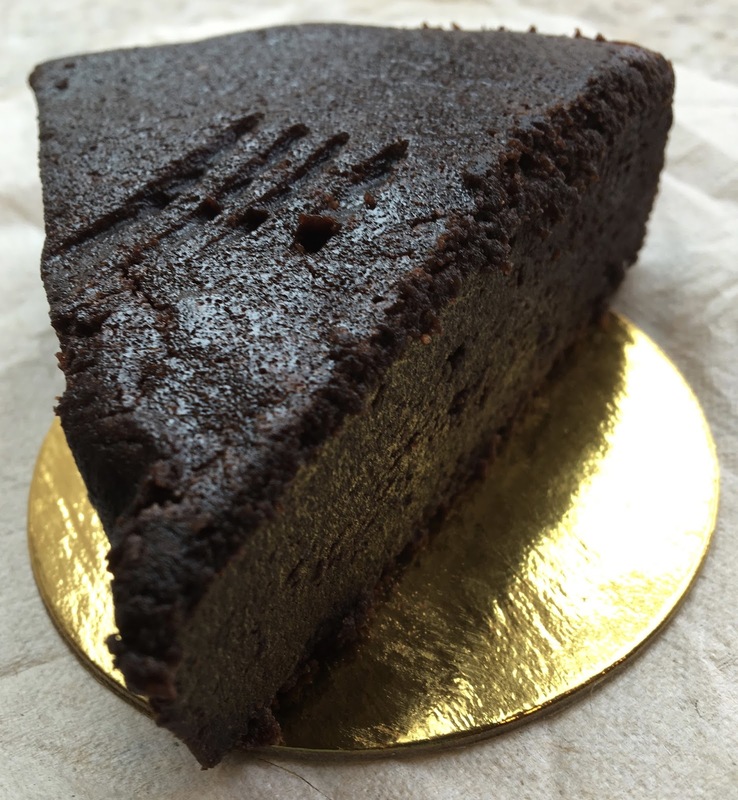 Rich, decadent, and oh, so chocolatey, each forkful was a revelation, and the slice achieved the perfect balance between cakey and fudgey. I ate the slice for breakfast, and highly recommend it as a way to start the day because it truly was the breakfast of champions before a day full of exploring the District. The next thing I tried was the vegan banana bread, which was loaded with crunchy walnuts. 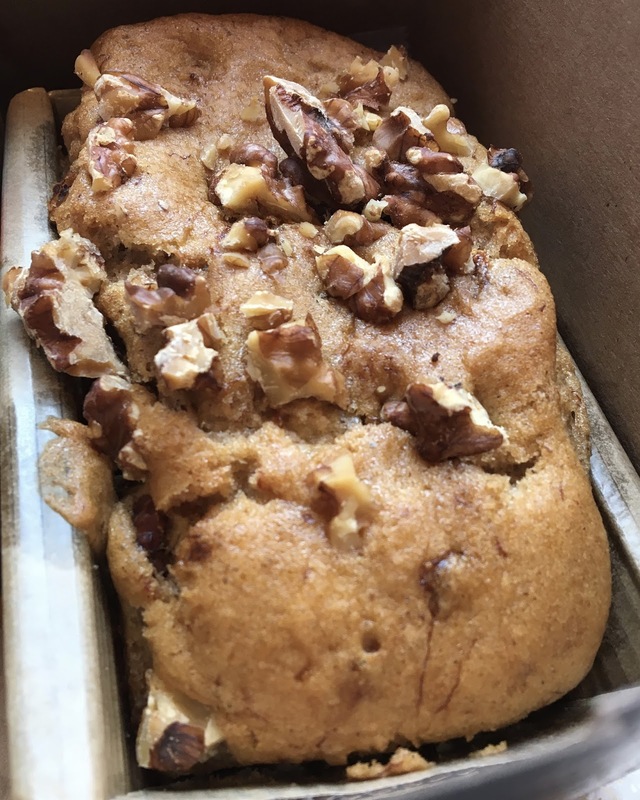 Although I liked the balance of nuttiness and banana flavor, this loaf was a little to dry for my liking, though I'm guessing that carrying it around D.C. on a pretty hot day didn't help. The bread was good, but was the least impressive of the three items I tried. I am not a fan of gluten-free bread brands most commonly found in grocery store freezers- I much prefer locally made options. Rise Bakery makes two sandwich-style loafs, and only the superfood one is dairy-free. This bread has a nice whole grain texture, and toasts up quite lovely (I highly recommend for avocado toast). While not fully sized to non-gluten-free sandwich loaves, the slices are hefty enough to make a satisfying sandwich. I definitely will be picking up another loaf next time I'm in the neighborhood. Rise Bakery is definitely worth seeking out, as it is the District's only dedicated gluten-free bakery. 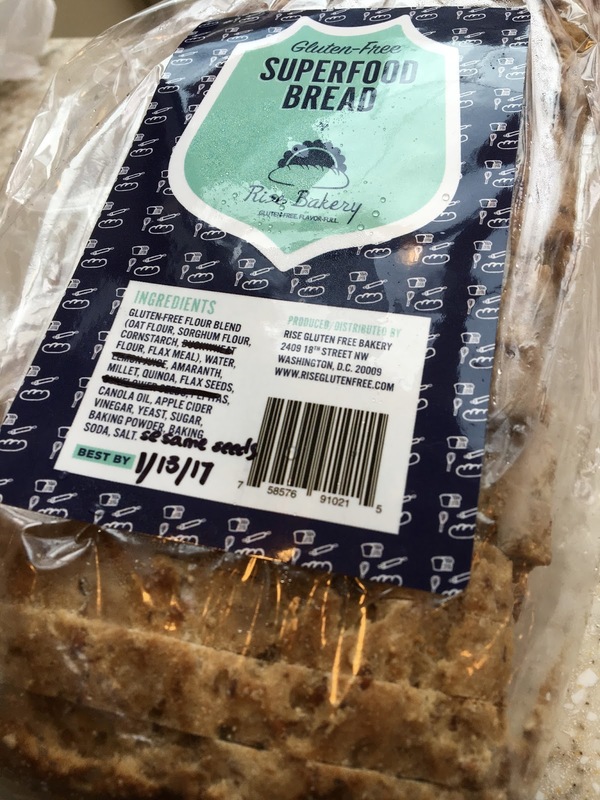 I loved the bread and cake I bought, and will definitely make a point to special order more gluten and dairy-free items to try on a future visit. 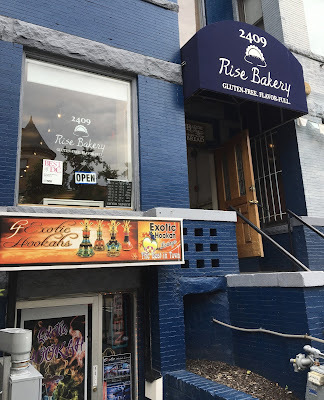 Located in a nifty neighborhood, Rise Bakery is removed from the hustle and bustle of central D.C., but an attraction in it of itself for locals and visitors alike. I also was able to sample Rise Bakery's treats at the 2016 D.C. Gluten-Free Expo. Click here to read my recap of that event. 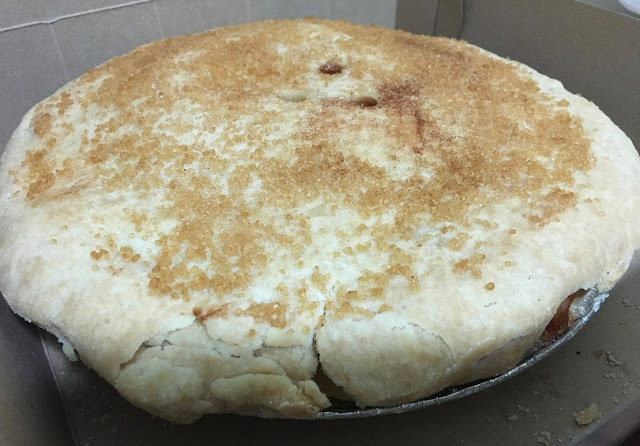 Update 12/2/16: I special ordered a dairy-free apple pie for a winter treat and second chance to stop by Rise Bakery. The pie is impressive any way you slice it. It's double crusted- with a thick, sweet, flaky crust. It's massive and heavy- laden with perfectly stewed cinnamon apples. I love that Rise's pie does not cower in the shadows of gluten-filled competitors. This one stands out and stands alone. 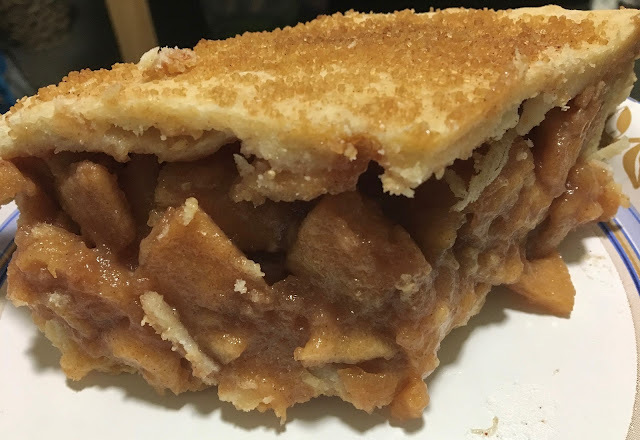 At $25 (now on the website the price is $29.95), the amount of pie you receive is completely worth the price tag, and I couldn't have been happier with it. It's sweet, cinnamon, and apple-y, practically perfect in every way. Price: See prices on the menu here. Special Feature: Delivery information can be found on their website, click here.